Now this what we called evolution everything is changing because of science and technology and human being who play an important role in this field. The self Driving car project started by Google got his own separate entity called Waymo under the Alphabet umbrella. 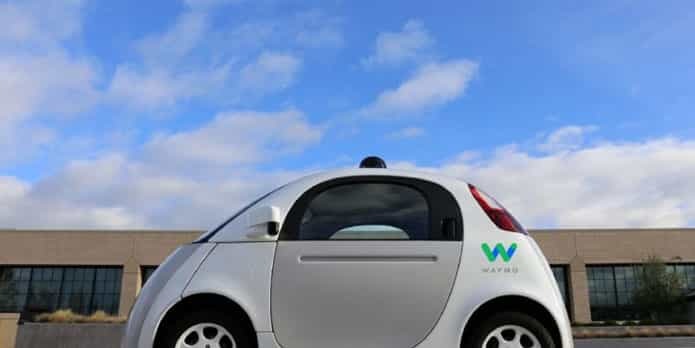 We’re now an independent company within the Alphabet umbrella,” Google’s self-driving car company, Waymo CEO John Krafcik told an audience at a press event in San Francisco, Google introduced Steve Mahan, a blind man who has become a poster child for Google’s self-driving car efforts. Mahan was in a pod-shaped vehicle similar to the prototype Google showed off in 2014. “I am a legally blind American, and there are millions of people like me, both blind and also perhaps having other disabilities that, or just a situation of age, that would prevent me from navigating in a standard vehicle,” Mahan said. “For millions of Americans, this is a promise of hope and independence and continuance of an active life.” Mahan had ridden in Google test vehicles previously, but he was always accompanied and escorted by police. This time, he rode with neither, and the car negotiated four-way stops, pedestrians, narrow streets and more in public in Austin. Recent changes to Google’s self-driving business unit include the appointment of ex-Hyundai North America executive Krafcik as the project’s CEO. That move, along with the addition of ex-Airbnb and TripAdvisor exec Shaun Stewart later this year, indicated the self-driving car unit was gunning for more than breakthroughs in research and technology now, and positioned to evolve into a commercially viable company. Alphabet emphasized the safety of its technology. It showed an Alphabet engineer snipping the power cable to the car’s main computer. The vehicle responded flawlessly to the outage, flashing a warning about a system failure and pulling over gracefully to a parking space. Krafcik also noted that the Waymo team conducted the first fully driverless ride on public roads in Austin last year, using a car with no steering wheels and no pedals in “everyday traffic” on city streets. Krafcik also emphasized that the new company, Waymo is focused on technology, not necessarily making cars. This fits with reports that the business will be looking to partner more with vehicle makers, rather than building its own. Krafcik said that Waymo is currently in the “build phase” of putting next generation sensor load outs in the Chrysler Pacifica. Earlier this year it announced a 100-car pilot project in partnership with Fiat Chrysler. They’re currently readying these vehicles for road tests, he said. Uber is also working with carmakers in deploying its own self-driving vehicles for its ride-hailing service, including Ford and Volvo. Other automakers, like Volkswagen and GM, have opted to build or acquire their own self-driving tech and on-demand mobility service offerings. 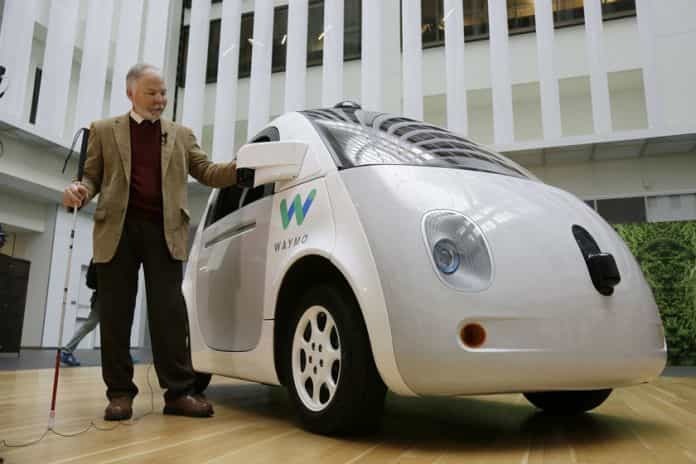 Google once had a big head start on self-driving car technology; it started working on the problem back in 2009, long before rivals like Uber, Tesla, or Detroit automakers had started work on their own self-driving software. But over the past year, the company has faced increasingly stiff competition. Toyota, General Motors, Ford, Volkswagen, BMW, Uber, Lyft, and Tesla have all made major announcements about self-driving projects this year. Uber even announced that it would begin making self-driving cars available (albeit with a driver behind the wheel making sure nothing goes wrong) in Pittsburg in August. According to the recent report on Tuesday, the Alphabet’s newly independent autonomous car company will team up with Chrysler for a ride-sharing service deployment, which would see semi-self-driving Pacifica vans hit the roads to carry passengers as early as the end of 2017. Alphabet has been bleeding talent, as some of the project’s engineers have grown impatient with the company’s slow progress. A team of Alphabet engineers founded a self-driving truck company called Otto earlier this year. By the end of the year, it had been acquired by Uber. In August, Alphabet lost three key executives on its self-driving car team. One of them, former project leader Chris Urmson, is working on a self-driving car startup of his own. Those departures put pressure on Alphabet to transform its science project into a working commercial product. The creation of Waymo is an important step in that direction. But it’s going to have to do a lot more to turn its impressive technology into an actual shipping product. As mentioned, Google previously announced a plan to build 100 prototype autonomous vehicles based on the Pacifica platform in partnership with Fiat Chrysler, but this new plan will involve a much broader scope and higher vehicle requirement. Fiat also plans to unveil an all-electric Pacifica at this year’s upcoming CES show in Las Vegas, and that could be a key ingredient in its tie-up with Google since EV fleets are the much more practical option for the future of autonomous on-demand services. As an independent company under the Alphabet umbrella, Waymo will likely be less insulated from scrutiny regarding its progress and performance as a business, so its next steps in terms of partnership and sales or licensing model will be very interesting to watch.